If you read this blog often, you might have noted changes in the design and the way you can browse this blog lately - I really want the users to feel at home on my blog. 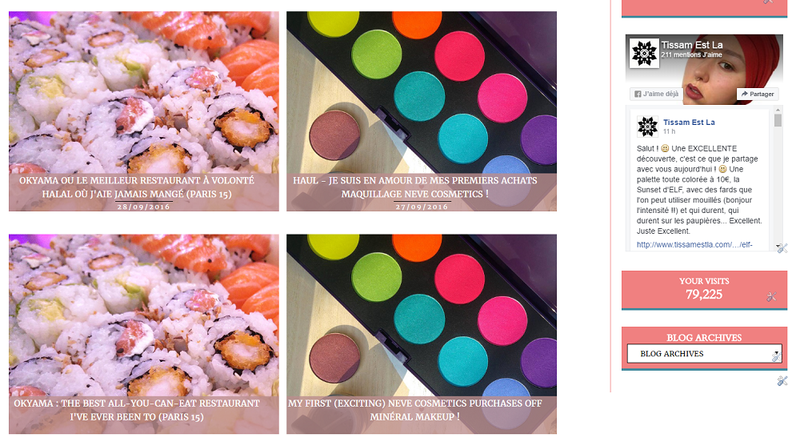 Blog Sweet Blog ! 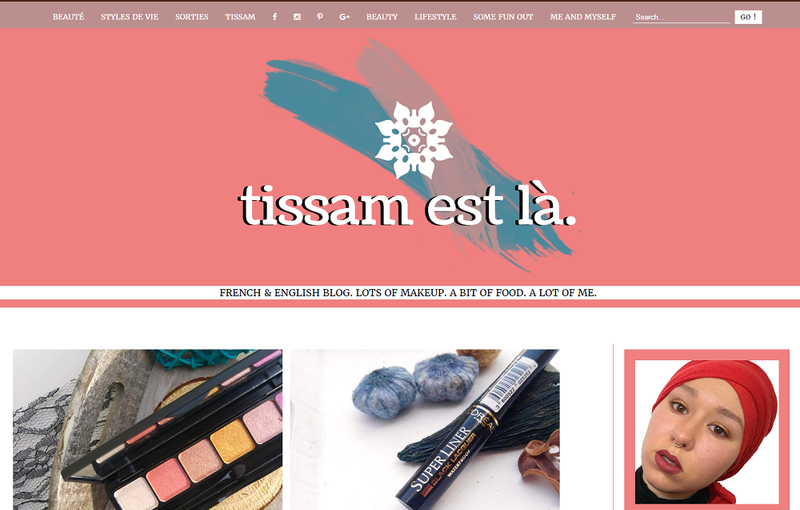 I thought it'd be great to show you what changes I've made on Tissam Est La, it's also a way for me to list these changes, to explain why I did some of them and think of new ways to improve this blog. I. A new header ! I started with my basic black and white blog and header and I wanted something more colorful, that'd look more like me. The design has remained black and white with more or less important touches of coral, teal and brown - that way, it looks much more like me and still different from all the all-white blogs you can find on the Internet. Why these colors ? Because I knew I wanted to stay away from pink or purple - too normal, too basic, too girly. 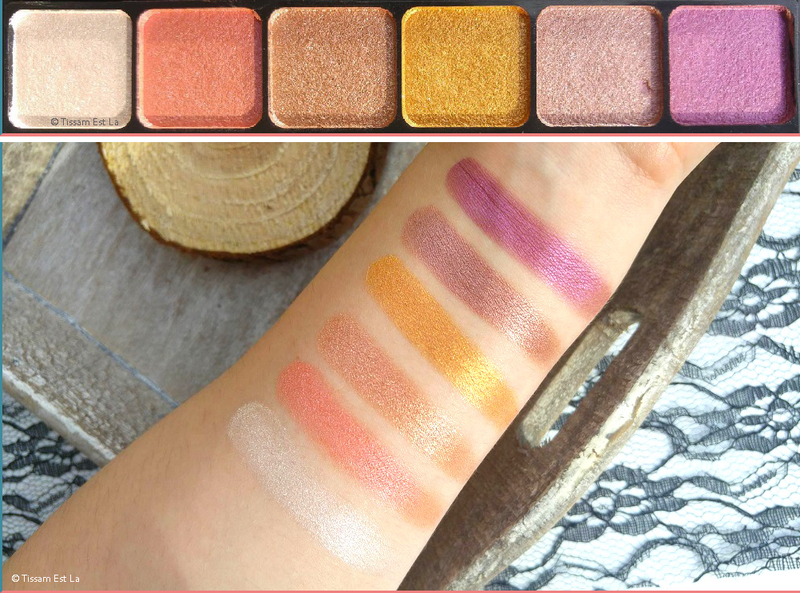 I do talk about much, much makeup but I also write about plenty of other things - these colors I've chosen can be interpreted as girly but they stay neutral too. II. 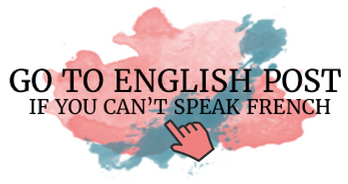 Buttons for the other language ! 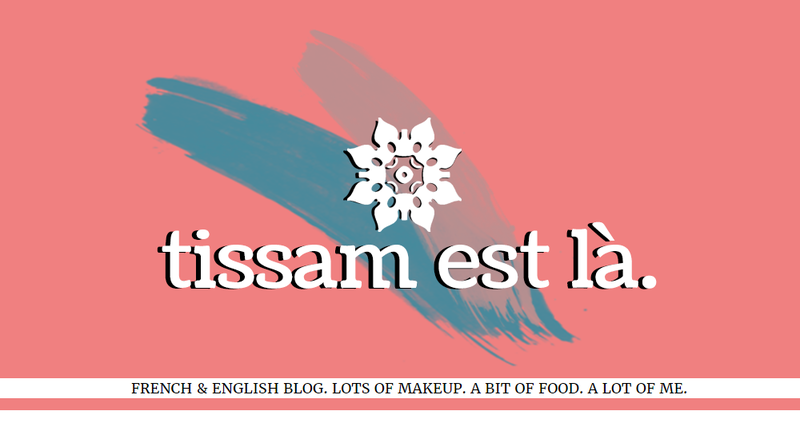 With Photoshop, I've created color stains similar to the ones I had before (still visible in the biggest part of my posts) to reach the English or French post - you know that Tissam Est La is a bilingual blog and every post I write in French, I translate in English too so it's very important for me to keep the blog organised for any person that might find it. The only difference with the previous stains is that the font looks cleanier, more professional and the colors match my theme too. III. The pictures' borders ! Blogger has all-white borders for the pictures that I've taken off a long time ago - I've just replaced them with a teal border on the left and a coral border on the bottom of the pictures - I really like this detail. All the widgets on my sidebar have been dressed with a coral background and a teal border on the bottom of the widget. I used to have my picture and a mini-description of myself as well as the number of visits, but now I've also added my Facebook page - do join ! - as well as my social media icons, my Hellocoton follow button, my Most Popular posts and another really important widget, my blog Archives. I really think it'll make the visit on my blog easier but it'll also allow me to see how I'm doing with my posts. V. A new comment system ! You might get a bit scared when you'll first use this comment form but it's actually really easy ! You can comment with you Facebook, Twitter, Google + or Disqus accounts if you've got one. 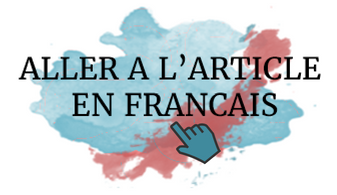 If you don't, just click on "Nom" below "Ou inscrivez-vous avec Disqus" (or subscribe with Disqus) and tick the "Je préfère publier en tant qu'invité" box (Post as a guest) and then just post your comment. Below the comments, you'll also find a small envelope with "S'abonner" (Subscribe) - click on it if you'd like to receive my answer to your comment in your mailbox ! What do you think of this new design ? Do you like it ?